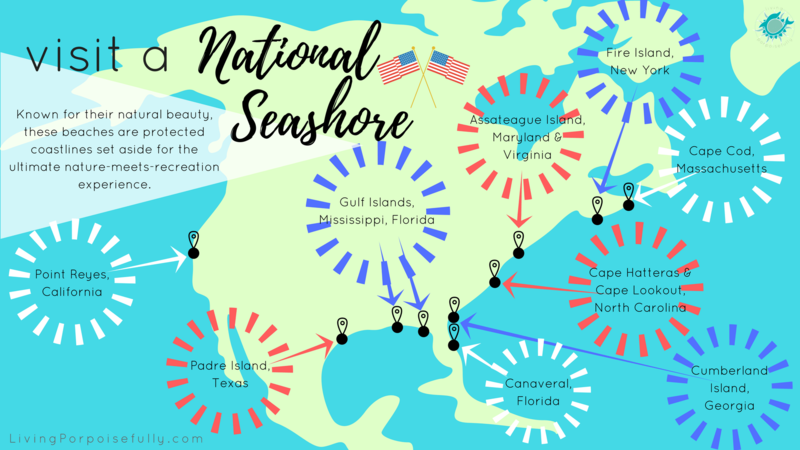 In honor of Presidents’ Day, we’re taking an interactive look at our National Seashores, havens of coastlines set aside for visitors to relish in their natural beauty. Thanks to the efforts of many presidential administrations over the years, our National Parks have grown to include 10 National Seashores. It all started with the first National Park, Yellowstone, which was established in 1872 by Ulysses S. Grant. Since then, National Parks & Seashores have grown over the years through the efforts of presidents like Woodrow Wilson, Teddy Roosevelt, and Lyndon B. Johnson. While we’ve been to a couple of them, we fully intend to get out and explore them all! Each has their own unique charm and features, but nature is of course the big draw in all of them. To help you get a glimpse of what each has to offer, and make your trip planning a bit easier, we’ve created an interactive map that organizes the great resources from the National Park Service! Just hover over the map below and click to browse each treasure trove to find what gems it holds: from wild horses to lighthouses, birdwatching to snorkeling, and kayaking to hiking, there’s so much to explore. Whether you’re just browsing to see what’s there, or it’s your next travel destination, we hope you join us in full appreciation for the conservation efforts that have set aside these beautiful havens!